Our special education program will build your knowledge base and refine your skills to assess and educate students with mild to moderate disabilities. You’ll develop into a confident, compassionate, successful teacher, serving kids, families, and communities. Explore our concentrations to find the option that will best meet your goals and interests. If you're not already a licensed teacher, you will have to complete required prerequisite courses which meet the MN Standards of Effective Practice. Our Academic Behavioral Strategist concentration prepares you to serve K-12 students in a variety of mild to moderate disability categories, including Autism Spectrum Disorders, Emotional Behavioral Disorders, Learning Disabilities, Other Health Disabilities, and Developmental Concentration Disabilities. You’ll be equipped to work in resource rooms and inclusive K-12 settings within public schools. 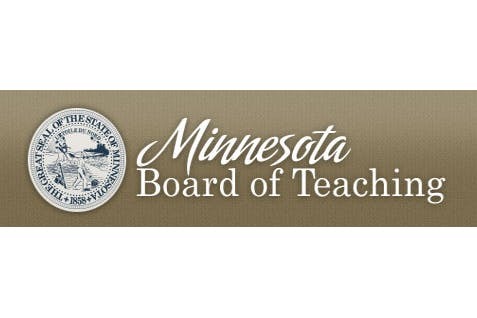 If you're not already a licensed teacher, you will have to complete required prerequisite courses which meet the MN Standards of Effective Practice. Our Emotional and Behavioral Disorders concentration prepares you to serve K-12 students who have been identified with emotional and behavior disorders ranging from mild to severe. If you're not already a licensed teacher, you will have to complete required prerequisite courses which meet the MN Standards of Effective Practice. This program fulfills the licensure requirements in the state of Minnesota. In addition to coursework, there are external tests you must pass. Minnesota also requires all teacher candidates for initial license to complete and pass the edTPA. If you want to obtain a teaching license in a state other than Minnesota, check that state's requirements for licensure. Learn why you should choose Bethel (Google doc) for a degree in Special Education.